A new book by Madhu Viswanathan, left, explores the daily struggles of 13 ordinary people living in poverty in India. 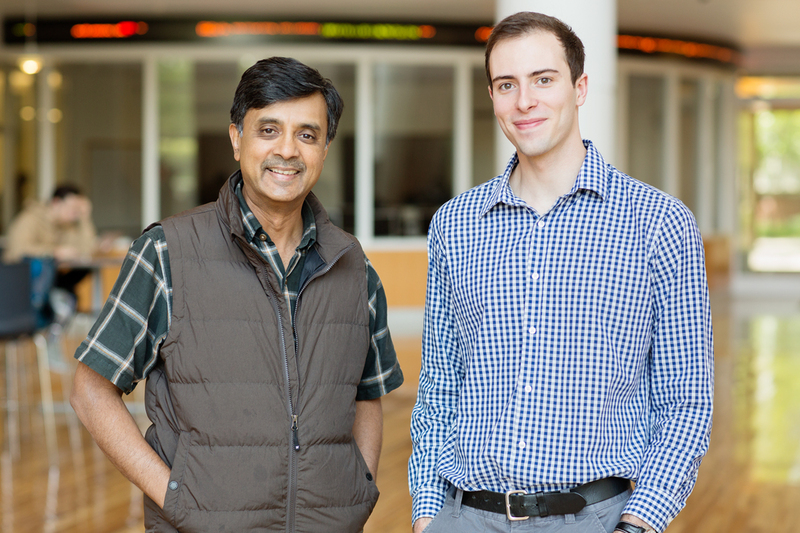 Viswanathan collaborated with U. of I. graduate Steven Morse, right, to turn the book into a multimedia portal. Madhu Viswanathan, the Diane and Steven N. Miller Professor in Business at Illinois, is a co-author of “Voices from Subsistence Marketplaces.” The book aims to capture the voices of those whose struggles to secure the basics of life – food, water, shelter, medical care – would otherwise go untold. The book, which was four-plus years in the making, including many back-and-forth trips to both rural and urban India for Viswanathan and his co-authors, isn’t prescriptive but is akin to a documentary. Viswanathan created the Subsistence Marketplaces Initiative to study such marketplaces in their own right and not as a means to some other end, such as creating new markets for outside businesses. The researchers started with 15-20 people and, over time, winnowed the final tally down to the 13 stories in the book. Viswanathan said the book is a starting point. The end goal is to paint a fuller picture and go beyond sympathy to “informed empathy,” Viswanathan said. “We hope that readers develop a new appreciation for the hardships that others around the globe face every day as they struggle to meet even the most basic needs, while participating in the marketplaces near them,” he said. Viswanathan’s co-authors on the book are freelance writer Tom Hanlon; John Hedeman of the University of Kansas; and Srinivas Venugopal of the University of Vermont. Editor’s notes: To contact Madhu Viswanathan, call 217-333-4550; email mviswana@illinois.edu. The self-published book is available for purchase online.